There are certain events in our lives that are timeless and mark a new beginning or an end to a life of achievement. Some of these events include gradations, marriages, births, retirements, religious and military ceremonies, memorials, special receptions, or social gatherings, family reunions, baptisms, promotions, and countless other special occasions. 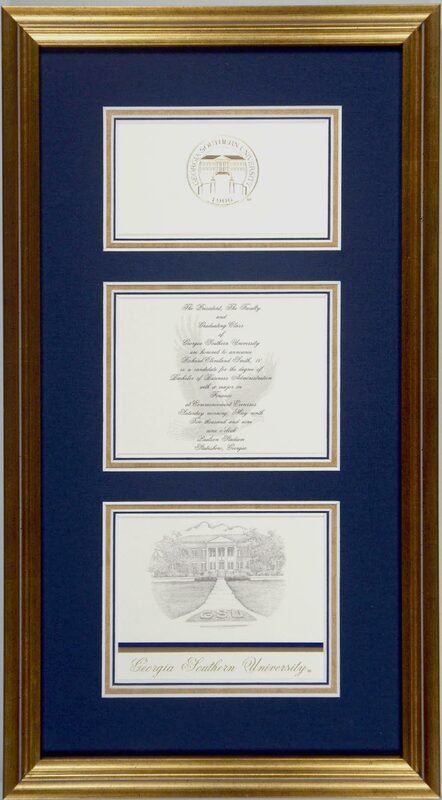 So, what better way to remember these events than to have the invitation or announcement framed? 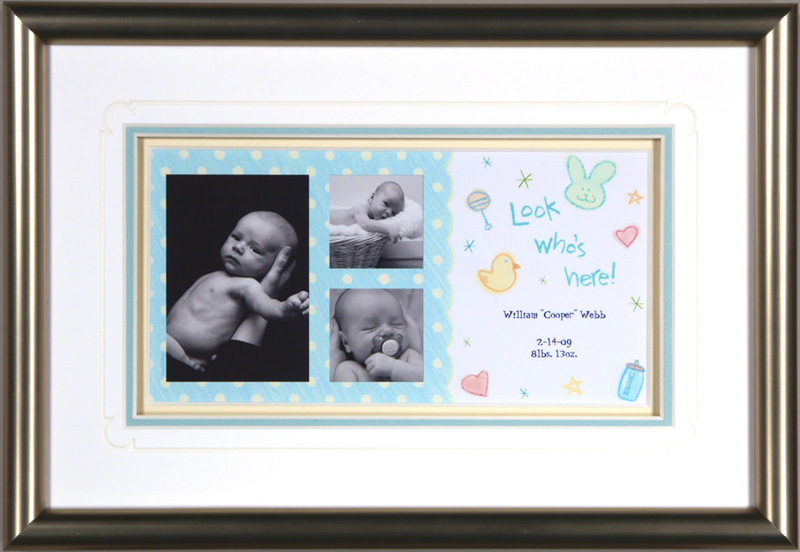 Framing them makes a great gift. This is a simple wedding invitation. The mat was custom cut to match the features of the invitation. 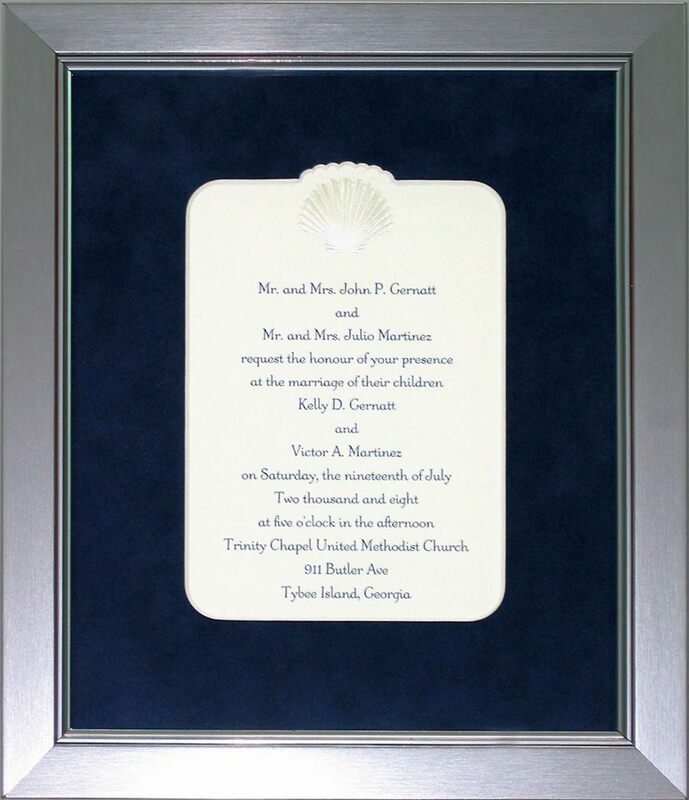 The blue suede mat, silver frame and ornate mat are designed to match the invitation. This college graduation announcement was framed using multiple openings in the mats. The mats match the school colors, and a gold frame surrounds the mats. 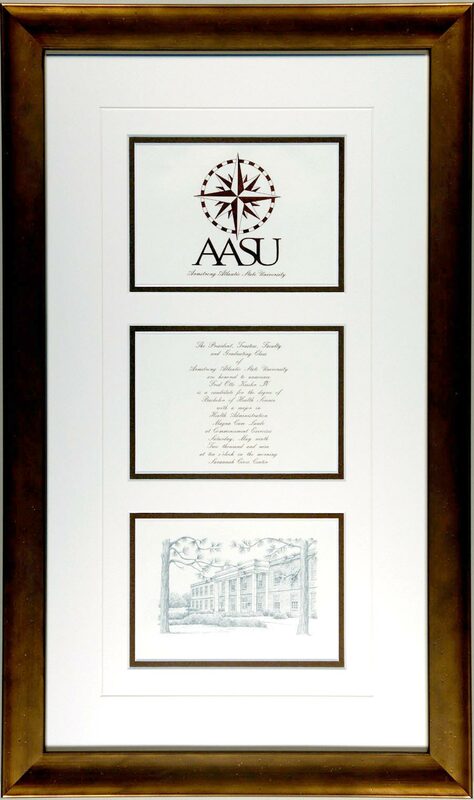 Graduation announcements can be framed in a number of way, some including the tassels from the cap. However, the most common theme is to have the mats match the school colors. This is a nice, simply done wedding invitation. It uses black and white mats with a simple silver frame. 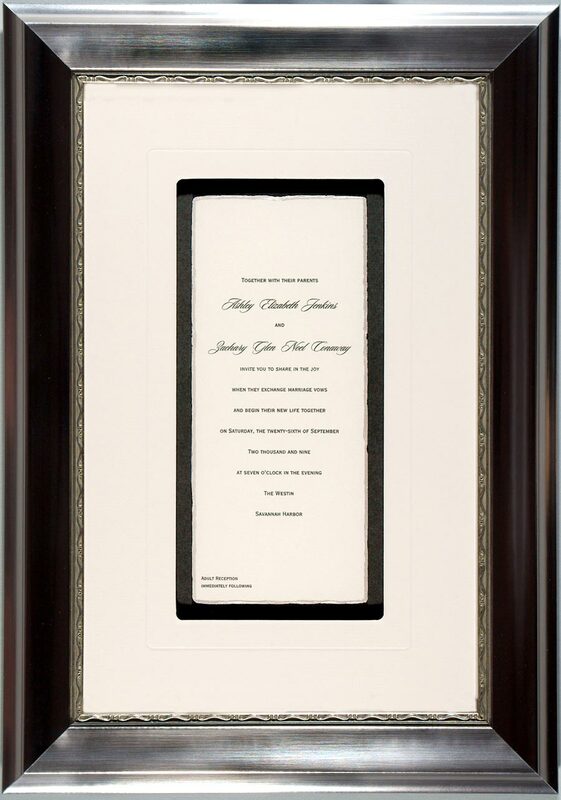 Framed wedding invitations make great gifts. All of our framing utilizes conservation framing materials and techniques to preserve the original piece against premature aging. This wedding announcement was "floated" using black and white mats. By floating the invitation, it appears suspended, providing depth, and a focal point for the invitation. 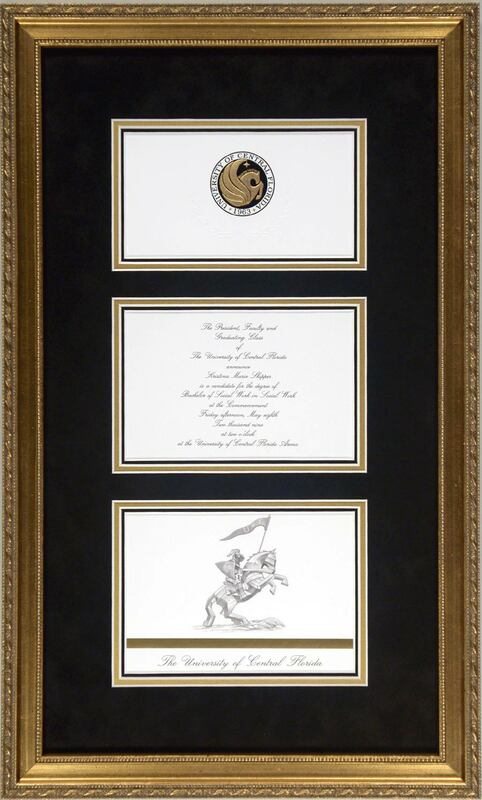 The bronze frame matches the colors in the invitation. Armstrong The college commencement invitation was famed using multiple openings cut into the mats and the school's colors. A V-Grove was cut into the mat to add depth. 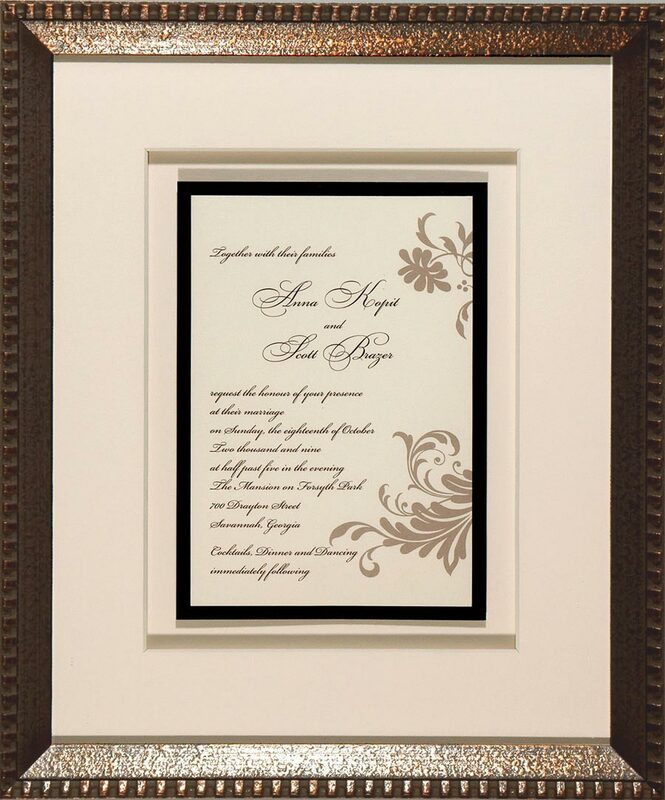 The bronze frame provides added richness to the invitation. This is a nice, simply done wedding invitation. It uses black and white mats with a simple black frame. 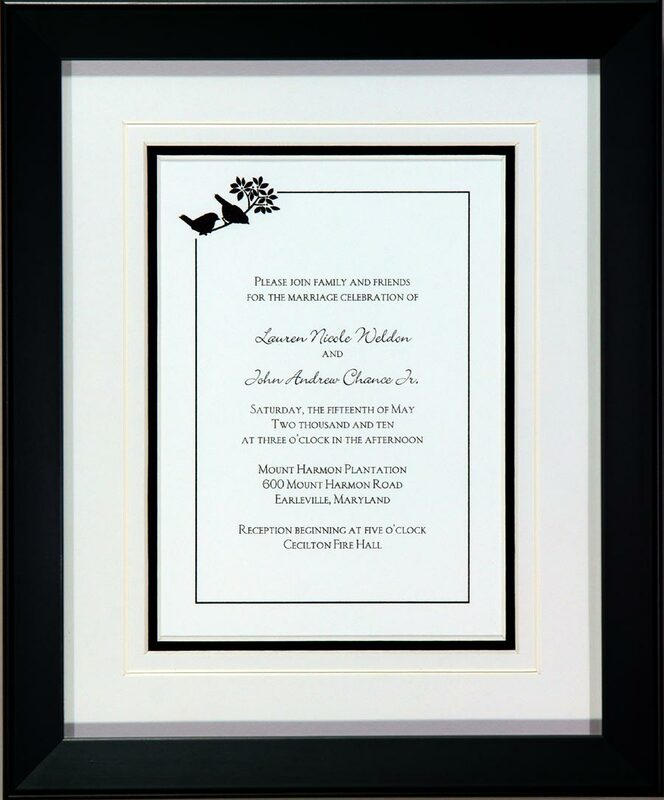 Framed wedding invitations make great gifts. All of our framing utilizes conservation framing materials and techniques to preserve the original piece against premature aging. This graduation announcement was framed with multiple openings cut into the blue and gold mats, and surrounded by a gold frame. The blue mat used is a deep suede that add richness to the invitation. 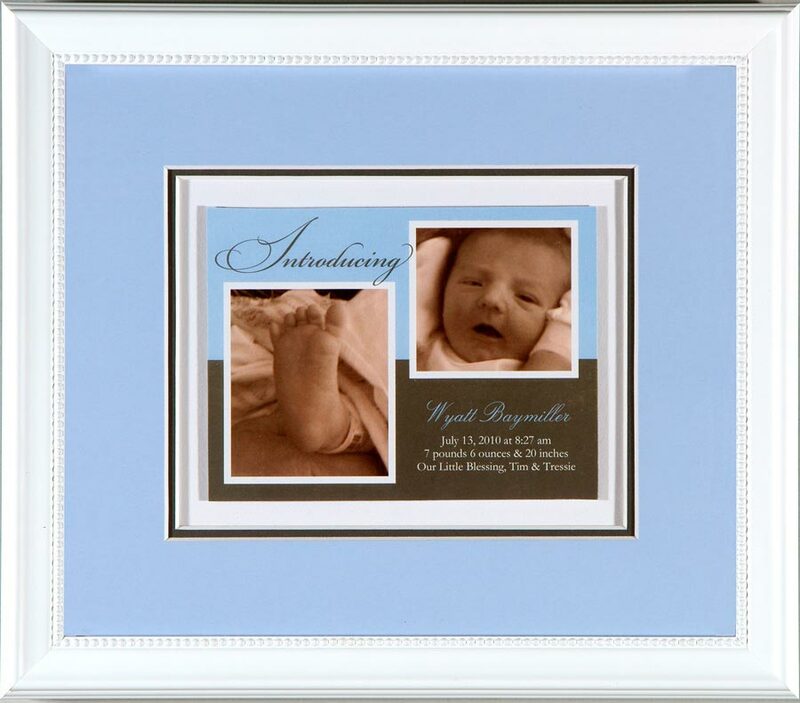 This mats for this frame are blue and white and are designed to match the colors of the birth announcement.